Recently, a team of 20 came together in a small town called Kudus in Central Java. 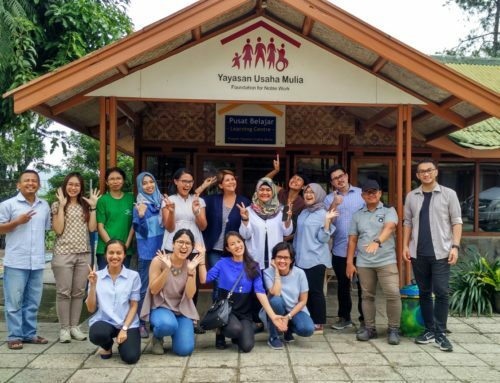 The group represented a diverse range of philanthropic and education-focused organisations including six foundations, a think tank, an ed-tech company, and the Indonesian Philanthropy Association (Filantropi Indonesia) There was a sense of empowerment in people of a similar mission congregating as a team, still steadfast in their commitment to provide education for children who need it most. 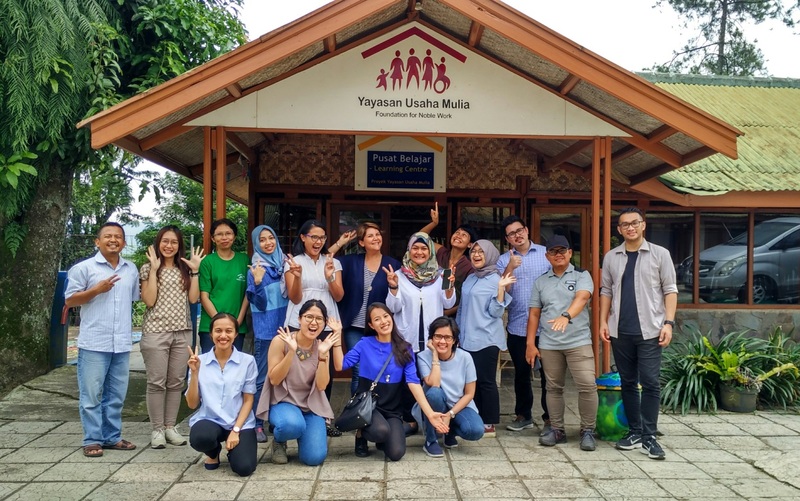 With Djarum Foundation as hosts, our agenda was to learn from the multi-dimensional approach taken by the Kudus-native foundation in establishing effective vocational schools. This is part of an APC initiative to bring various organisations towards increased collaboration. 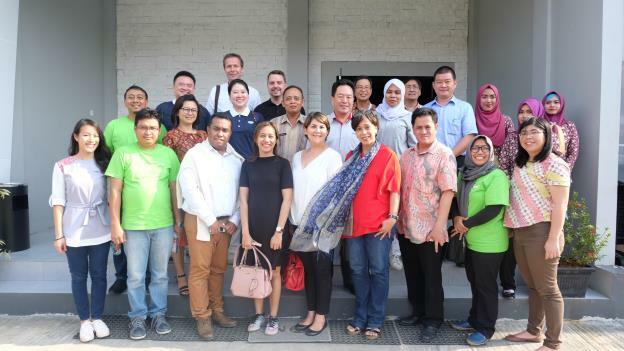 Upon reaching Ahmad Yani Aiport in Semarang, it was heartwarming to see familiar faces from other foundations, as well as new people from private-sector organisations who were interested to learn about Djarum Foundation’s Vocational School Transformation Program in Kudus. They brought with them unique expertise and varied personal experiences, which were all eagerly shared over the course of our two-hour evening ride to Kudus. Dinner was spent together with the Djarum Foundation team in a modest warung serving the local favourite: Soto Kudus. Over our hearty dinner of warm soup and assorted skewers, catching-up took precedence over work. Despite the long learning journey ahead of us the following day, introductions and conversations stretched on till late into the night. 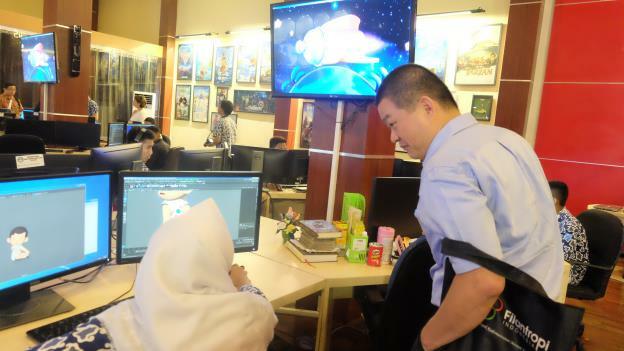 Early morning the next day, the team arrived at RUS Animation Studio at SMK Raden Umar Said. The futuristic interior design, multiple large-screen computers and complicated animation designs being worked on caught us by surprise. We were shown impressive original animated film trailers created by first and second-year students which would soon be aired on national television, as well as industry projects from the larger region including an advertisement for Singapore Changi Airport’s brand-new Terminal 4. During an insightful presentation by Mr. Primadi, Education Program Director at Djarum Foundation, he also expressed that he too, “was humbled by the students’ achievements”. As Mr. Primadi explained the blueprint of the schools, the guests fervently jotted down notes and explored potential avenues for collaboration with Djarum Foundation and the supported vocational schools. We had received a great eye-opener and were motivated to do more with our own organisations as well. 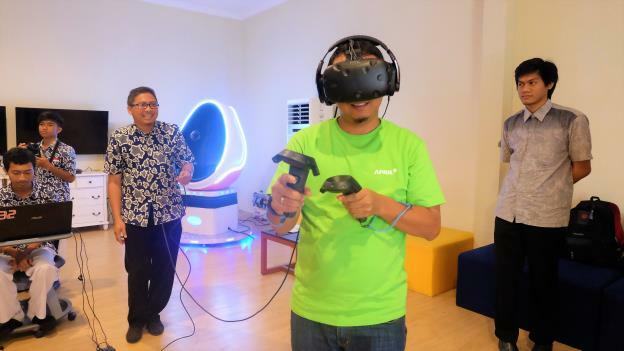 Throughout the school tour, we were met by even more pleasant surprises: the photo studios, virtual reality goggles and themed creative spaces had us feeling like we’d stepped into the hub of an Indonesian Silicon Valley. Moving onwards with great anticipation, the team arrived at SMKN 1 Kudus. 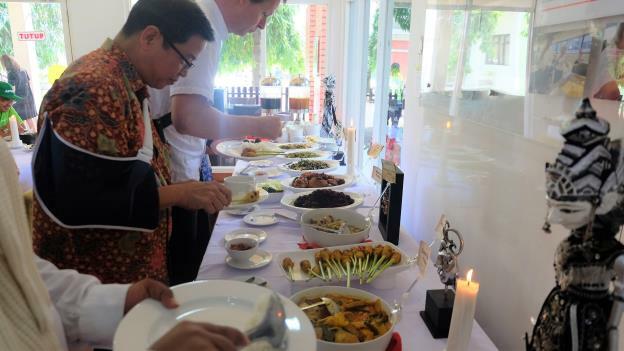 After the exciting tour and intense discussions of the morning our appetites were more than ready for the beautifully buffet of Indonesian culinary staples that awaited us at the vocational school for culinary arts. Our chefs and servers were in-house students, who greeted us with warm smiles and impeccable manners. 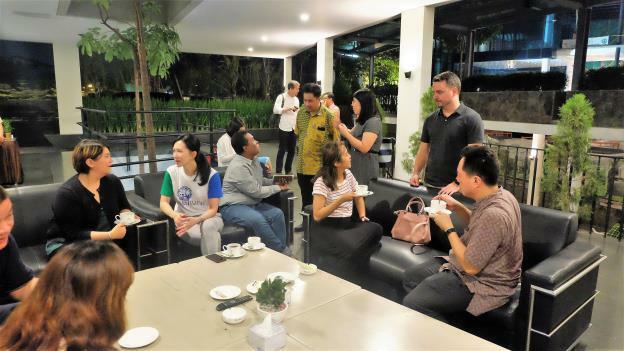 Students here have brought Indonesian cuisine to the global stage in various international cooking events and workshops, where they have even trained German and Japanese culinary students. In addition, some interned and have ultimately been accepted into elite five-star establishments, such as Paulaner Bräuhaus and OKU Restaurant at Hotel Indonesia Kempinski in the heart of Jakarta. It was expected that lunch would thus be spectacular. The professional service received and realistic setting of a high-class restaurant had us fooled, and it was easy to forget that we were actually still in a school. A stark contrast from the surrounding buildings in Kudus, the restaurant at the vocational school of culinary arts was definitely on par with hotel restaurants in Jakarta. After lunch, we visited the vocational school for maritime studies and mechanical engineering at SMK Wisuda Karya. We were greeted by a military welcome ceremony and a festive marching band performance by the students. 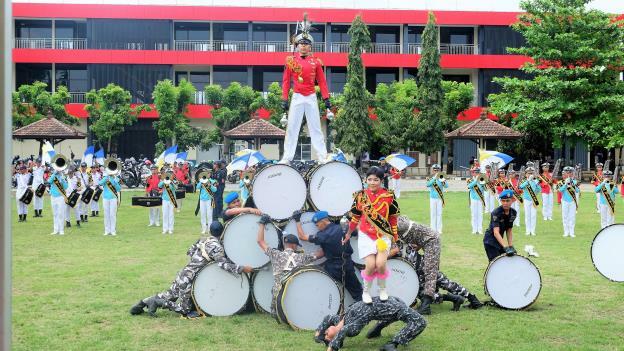 The performances, consisting of acrobatics, band music and military drills, showcased commendable attributes held by the student population. 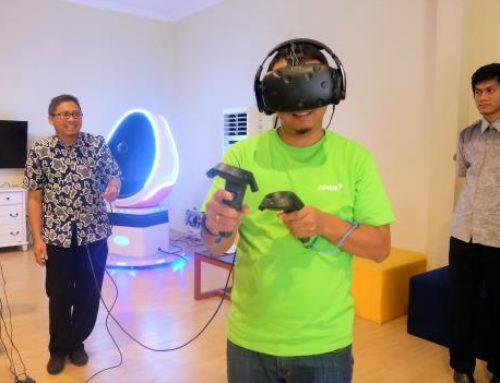 Through the maritime studies school tour, the team had a rare experience of being in a real-life maritime navigation full-bridge simulator room, of which there are only two available in all of Indonesia. With different settings and variables for the simulation, it is definitely the most beneficial in preparing students for maritime in the real world. As part of a holistic education, students participate in such activities, where they learn about teamwork, discipline and diligence. 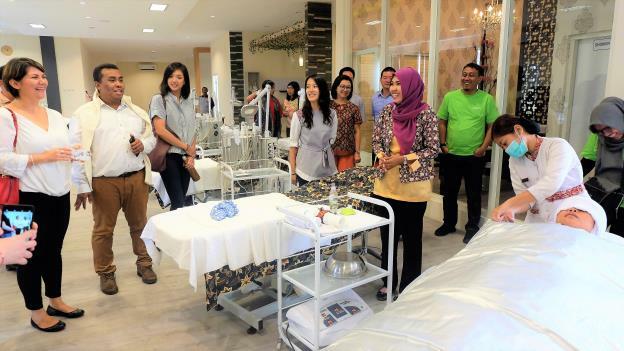 Our last destination was the vocational school for beauty and hospitality studies at SMK PGRI 1. Imitating a real spa, the Beauty and Spa Academy was mildly scented with essential oils. Here, students learn make-up, hair styling, spa therapies, massage, and reflexology. We also got a sneak peak at the modelling course which is a requirement for all Hospitality Studies students. In response to our puzzlement at the modelling course, Mr Primadi aptly answered that, “its higher purpose is to groom students’ self-confidence and to cultivate the mindset that they are who they choose to be, instead of being victims of their own fate.” Djarum Foundation has acted upon feedback from the hospitality sector, which seeks out individuals who carry themselves and communicate with confidence, other than just technical skills. A modelling course in progress: students all glammed up in their make-up and high-heels, cat-walking on their runway. Our team of inquisitive individuals was welcomed by proud teachers and instructors who were all more than happy to share about their vocation. The vocational schools all had similar concepts of having purposefully-designed interiors, up-to-date facilities and elite-looking students donning crisp uniforms. The students were also vocal and interactive, which made the school tours all the more engaging and informative. This experiential learning journey would definitely be etched in our memory, and we certainly look forward to the next one hosted by our APC members and friends! Along the way, the team interacted with the students and also received numerous positive testimonies of students’ experience learning at the schools.